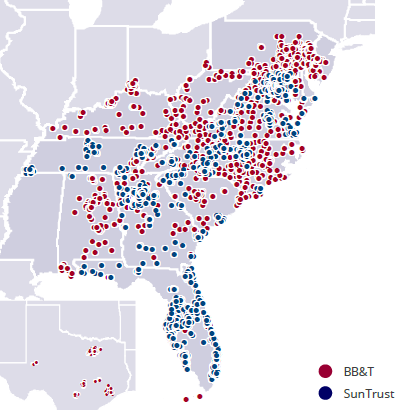 BB&T’s $28 billion deal last month to buy SunTrust is the largest U.S. bank tie-up since the financial crisis and one that many expect will trigger even more consolidation in the industry. While Democrats continue to criticize big banks as an unchecked risk to the economy, regulatory pressure has eased up amid Trump-era rollbacks. That’s left four giant banks — J.P. Morgan Chase, Bank of America, Citigroup and Wells Fargo — with a huge slice of the market and forced regional banks to team up with each other to compete. But the widely expected new round of bank mergers may differ from the blockbuster deals of the 1990s in one key way: Buyers aren’t going to pay over-the-top sums for their targets. The latest deals have already distinguished themselves with more modest terms. And Wall Street likes what it sees. Weill’s Travelers Group stunned Wall Street in 1997 when it announced that it would purchase Salomon Brothers for more than $9 billion, almost twice book value. One year later, Travelers merged with Citicorp in a landmark, $70 billion all-stock merger that created a $140 billion firm with assets of almost $700 billion. While investors have cited crisis-era regulations for fewer bank deals in recent years, the restrictions in the Dodd-Frank rules do not fully explain the decline in deal price tags. If anything, deregulation since President Donald Trump took office was supposed to reverse that trend. GOP Sen. Mike Crapo’s 2018 Economic Growth, Regulatory Relief and Consumer Protection Act, for example, is heralded as a green light for merger hopefuls. Mergers between smaller banks are not “necessarily bad because they’ll say: ‘For us to stand up to [banks like J.P. Morgan], what we need to do is create a $50 billion or a $70 billion bank that can then withstand that,” Michaud told CNBC during an interview earlier this month at KBW’s Manhattan headquarters. Stifel-owned KBW has handled 65 percent of all bank M&A since 2017. Some investors have been skeptical. Last year, Fifth Third Bancorp firstannounced its $4.7 billion bid for MB Financial, which put a 24 percent premium on MB’s stock price before announcement. Fifth Third shares fell 7.9 percent while MB Financial shares rose 13 percent. BB&T had a better reception. BB&T’s stock rose 4 percent the day of the merger announcement, and SunTrust shares jumped 10 percent. 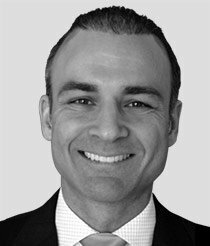 “For widely traded public companies is it likely you’ll see 40 percent premiums again? Probably not,” he said. 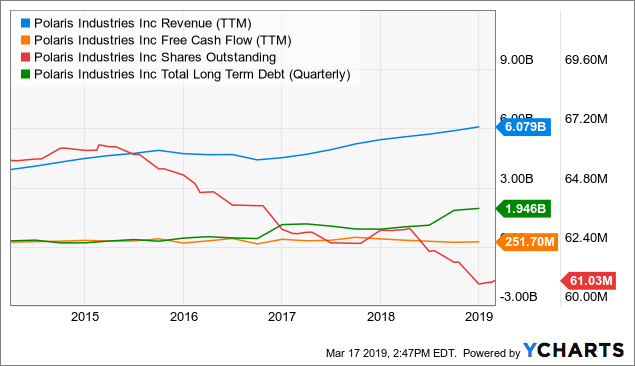 J.P. Morgan committed $10.8 billion to technology in 2018, according to its annual shareholder letter. Jamie Dimon, the bank’s chief executive officer, said roughly 30 percent of the bank’s recent senior hires came from non-financial services firms. Goldman Sachs’s CEO David Solomon said last spring that it had hired about 9,000 engineers to help ensure that the bank keeps up with peers. For a company with just over 36,000 employees, the bank’s influx of computer engineers now represents approximately 25 percent of its entire workforce. The race for deposits in fast-growing markets is also fueling merger fever. The nation’s nine largest commercial banks have churned out big profits in recent years by concentrating on the largest U.S. cities, populated and full of loan-hungry people and businesses. Those nine institutions control 49.2 percent of total assets. 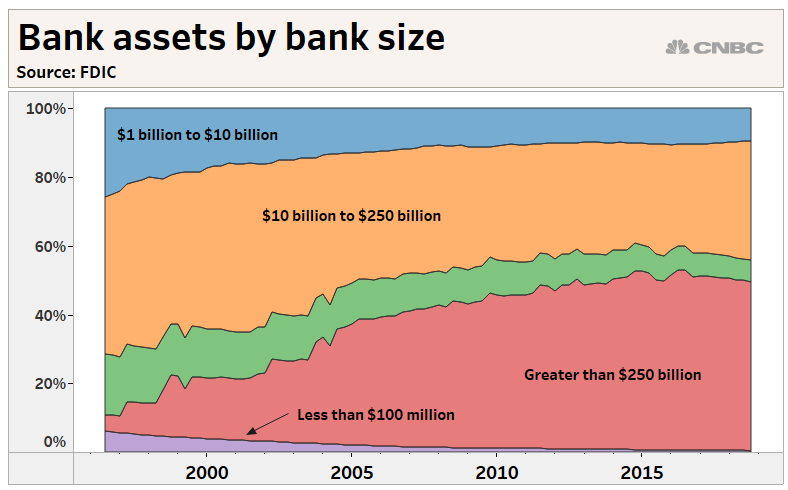 Meanwhile, the 4,074 U.S. banks with $1 billion or less in assets hold 6.6 percent, down from 25 percent in 1994. And while both BB&T and SunTrust easily surpass that $1 billion threshold, shareholders on both sides of the deal betting on the new company’s ability to capture deposits and loan volume. In other words, its ability to do battle with J.P. Morgan and others. The growing concentration of assets among the nation’s largest banks — those with at least $250 billion in assets — is on pace to snuff out smaller regional and community banks with far fewer resources.